Strategy Development - Partnerships Building - Creativity - Social Impact. Raised in Jordan and living in Washington DC, I am an Arab-American social entrepreneur, international artist, motivational speaker and an organizer for the One Journey Festival, a festival that celebrates refugees’ talents through art, fashion, food and music. Currently, I manage the Eileen Fisher Leadership Institute NYC program aiming to create the future leaders in sustainable fashion. Previously I co-founded a sustainable fashion startup and built the first women’s only e-commerce platform in Jordan. I also worked with several international development firms to build partnerships among development and humanitarian stakeholders. Additionally I worked in the Jordanian Government to further economic reforms. Thankful to have received the 2017 FHI 360 Impact Award for Woman Leadership, 2017 Most Voted RAW Artist, 2017 Inaugural Artist for goARTful and 2016 FHI 360 Emerging Leader. 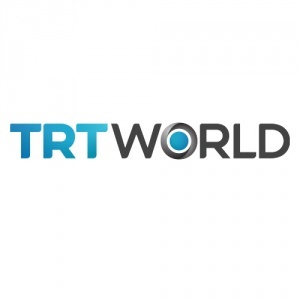 Interview on TRT World discussing art, health and the power of overcoming obstacles that life gives us. Speaking on the Eileen Fisher panel discussion sustainable fashion and the power found when one uses their best self to solve something the world needs. Featured in Living Well magazine in Jordan about my approach to fashion.